Yeah, this is a bit of a rant. Thanks to my job I've been fortunate to travel to many amazing cities. And unlike New York City, the greatest ones all have massive grids of car-free streets. I'm not talking about temporary, weekly ciclovia closures. Or a few car-free blocks here or there. 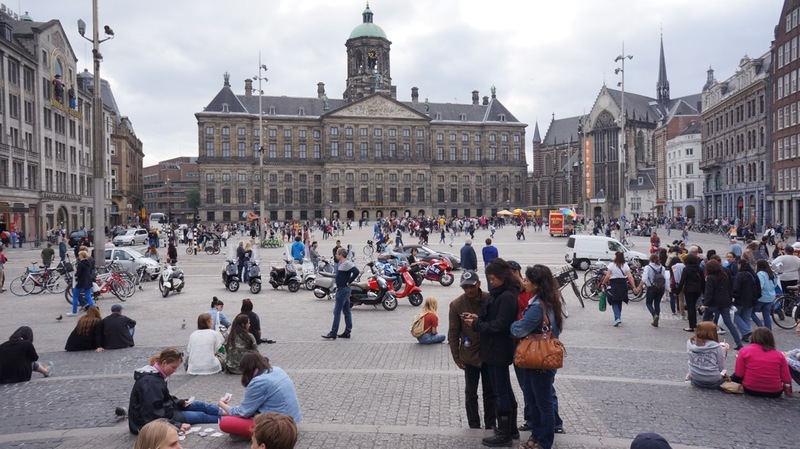 Or great parks or plazas where people gather or eat. I'm talking about streets where you can walk for miles and never encounter a car. And if you do, they're moving along no faster than 10 mph on shared, traffic-calmed streets where motorists drive with a high-degree of vigilance. If you travel too, I'm sure you may have favorites. Personally I love Copenhagen, Zurich, Amsterdam, Melbourne, and now Stockholm. In all these cities there are core areas where you can walk and walk and feel happiness, solace, and quiet. When you have large grids where no one can drive, it inspires residents to dream bigger and strive for an even healthier, more car-free city. It gives businesses and restaurants proof that you don't need to accommodate driving (or at least on-street parking) to turn nice profits. It makes other communities rise up and say, "Hey, we want that!" I love New York City. I've lived here since 1991 and it's the best place to live in the world. I love the transportation progress I've been fortunate to document over the last ten years. But it irks me that there are at least a dozen other cities I've visited where I can get a feeling NYC cannot provide on its street grid: a sense of complete freedom as a pedestrian from the perils of the auto while walking for enjoyment, shopping, or recreation. Yes, we've done great things. Times Square is an achivement I never thought I'd see in my lifetime. Dramatic changes to places like Madison Square, Corona Plaza, and Union Square along with a growing protected bike lane network should be celebrated. I acknowledge the unbelievably hard work that brought us these improvements. But now we need to go further. Broadway should be completely car-free from 14th Street to 59th Street. The perilous crunch for pedestrians during rush hours on the streets surrounding Penn Plaza and Madison Square Garden could be greatly eased by car-free connections. I think a good portion of streets in downtown NYC south of Chambers are great candidates for no vehicles. In addition, there's the long-held dream of changing 42nd Street to a pedestrian-transit mall. Let me provide some inspiration via Streetfilms. Above is a montage of what Montreal's Rue St. Catherine becomes for over three months each summer. Imagine that on Broadway! In Buenos Aires, they have added an entire network of shared 10 km/h streets where people comfortably stroll alongside cars. A hundred blocks of these! I recently visited the Swedish city of Malmö, where I walked long loops in the downtown for two hours, rarely seeing any evidence of cars. Flashback to my 2010 Copenhagen video. 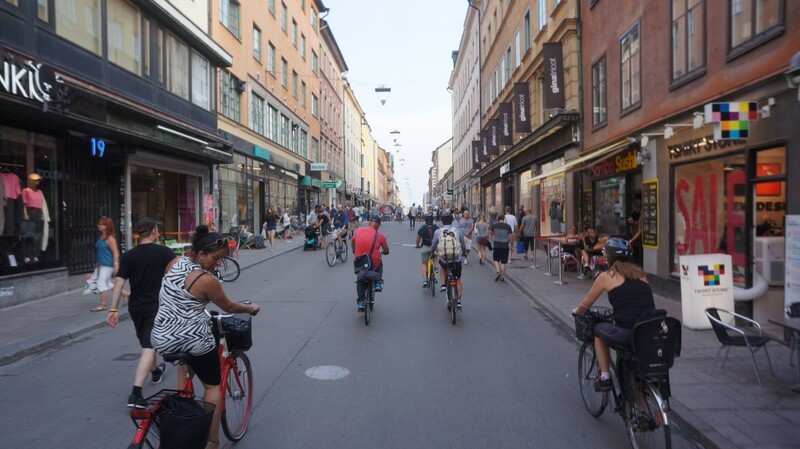 Copenhagen is always looking for ways to improve, to make it safer for walking and biking. 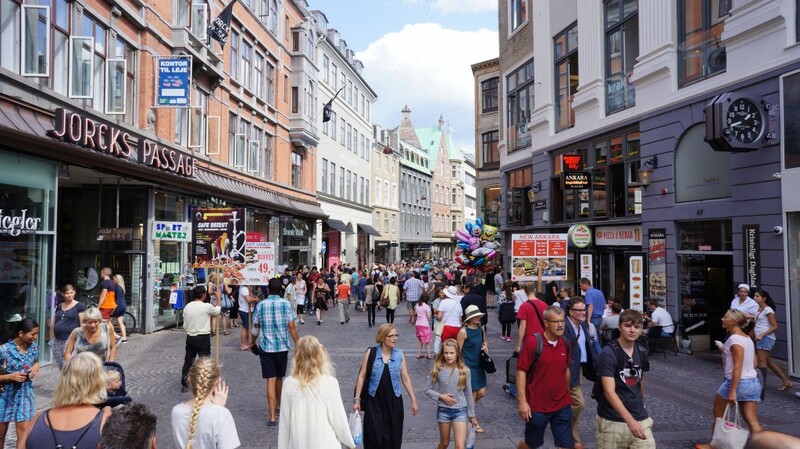 Residents and tourists flock to its pedestrian streets. Sometimes to shop. Sometimes to eat. Sometimes just to walk. Every city has its unique set of challenges. NYC is currently laying out a Vision Zero strategy. I'd love to see a goal to implement stretches of car-free zones. If you had your druthers, where would you pedestrianize NYC? Posted in Streetfilms News. Tagged as Amsterdam, Car-free streets, Copenhagen, Malmö, Montreal, Pedestrians, Stockholm, Zurich. The network (ie connectivity) aspect is really important! 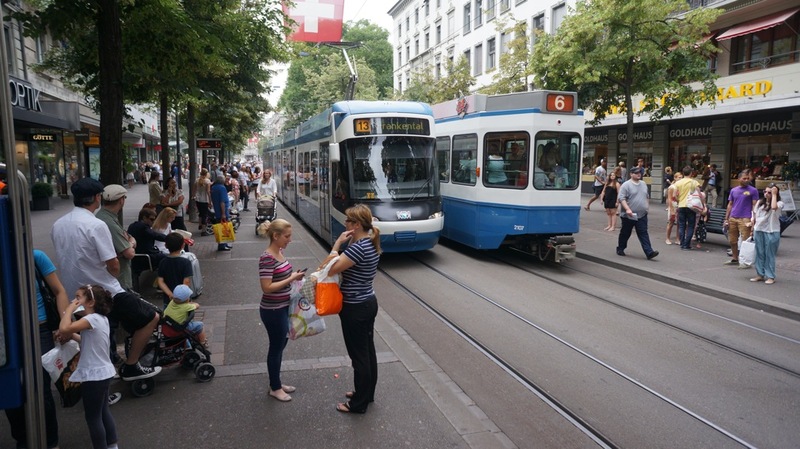 There are plenty of cars in these cities, but one can walk great distances and cross many intersections without encountering vehicular traffic. This requires a network structure with parallel pathways which connect important destinations. I love this. Not having autos racing by really makes a place pleasant. I live in St Louis, so I won't make any recommendations for a street in NYC. I can't imagine we will be seeing a walkable street anytime soon in STL. We have so many nice areas in St Louis. Starting at the famous Arch going straight west is almost entirely green blocks with many beautiful sculptures and gardens. The blocks which aren't green have pretty decently inviting plazas. The problem with this green strip is there are about 14 intersections to pass in 1.4 miles (One being a freeway with an unwelcoming bridge, the other being a 6 lane terrifying intersection), there aren't many street vendors or good eating, and there isn't nice seating. I love streetfilms. Gives me hope in the future of cities. I'll also add, as far as the NYC boroughs go, I think Montague Street in Brooklyn Heights is a fine choice. In Queens, Joby Jacob recommended Main Street in Flushing. That indeed is another great place I'd love to see. Each boro should have its own nucleus of car-free streets to start with. But wait there's more! Currently the City of Melbourne is working on its walking plan 2014 - 2017. There has been online consultation, and a couple of meetings at Town Hall to discuss the plan. I think it's really good, and will change the face of the city. So you will have to come back and do a "before/after" film! There is hope! Thank you so much for loving us! !